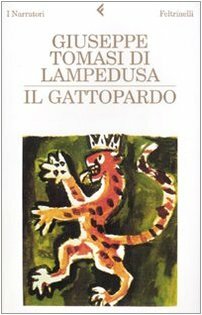 My piece on Giuseppe Tomasi di Lampedusa‘s The Leopard is up today at The Millions. I found it surprisingly difficult to write. I suppose that when a book strikes you dumb, when it’s doing so many beautiful wonderful things, it is very difficult to write about. What I didn’t include in the piece, because I couldn’t figure out how to do so without it seeming a non sequitur, is the fantastic dog character (Bendicò) who, it turns out, Lampedusa himself felt was “a vitally important character and practically the key to the novel.” The novel in fact closes with an image of Bendicò. Speaking of which, stay tuned for my “Dogs of Buenos Aires” photo-post, coming up soon. Can I just say how much I love the siesta concept, here in Latin America (and many places around the world)? Recently I sat in on a master class given by the filmmaker Luc Dardenne. He spoke of how viewers of his films should not assume they understood everything about the characters. As members of an audience we should never feel ourselves wiser than they: we do not have more knowledge than the characters have about themselves…. I believe this. I recognize this as a first principle of art, although I have the suspicion that many would not. This view, almost an authorial ethics of representation, explains some aspects of Ondaatje’s literary style: his prose, while gorgeous, is on occasion quite oblique, and his narratives—as is true of The Cat’s Table—can be strikingly fragmented. (It is wonderful and, in these fundamentally homogenizing times, increasingly rare to encounter a writer who does not shape his art to a known and satisfying form, but instead fashions the form around his content.) His goal is to reach toward that elusive complex we might call experienced human reality, and in so doing, precisely to grant each of his characters his own wisdom and autonomy. In an Ondaatje novel, there is much that we do not directly know, much that we cannot know for certain. I think often about what it means, in this current cultural moment, to be a “literary” writer; and if that terminology even matters anymore. There is a sense that it doesn’t; that it is an anachronistic, old fuddy-duddy kind of categorization; that you will die in dinosaur-like fashion if you hold too tightly to such high-art ideas. But something about Messud’s description of Ondaatje’s literary vision speaks to what I consider to be literary — to be art — in a way that matters. Uncertainty; unknowability; “experienced human reality” as elusive and complex; ultimately a reading experience that effects some discomfort and reminds us that life is a mysterious, unstreamlined business. The annual YEAR IN READING extravaganza is on at The Millions. See what writers have been reading (and loving) this year. Up today, Jennifer Egan and Ben Marcus.